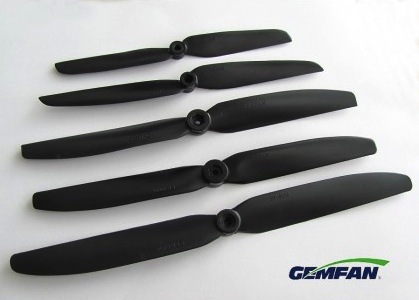 GemFan Direct Drive 9x5 props used with 2S on our 9mm EPP Extras and Yak55s and our Warbird Series. Colors may vary. We try to purchase black or gray but sometimes we have to get orange until they come back in stock.